TVS Racing has been involved in Motorsports for more than 34 years and are pioneers in the field of two-wheeler racing in India. We began racing on our 50 cc mopeds clocking as high as speeds of 105 kmph. Today, our Apache RTR 450cc race machines forge their mark on the toughest rallies, excruciating races in the most difficult terrains from Desert Storm, India Baja, Rally of Morocco and innumerable National Championships. We are proud to be the 1st Indian two-wheeler manufacturer to compete in Dakar and continue to see huge learnings from the world’s most extreme rally. Being the first factory works racing team in India and the first mover advantage has its own challenges as well. Almost all the renowned racers in the country, irrespective of the sport would have begun their career with TVS Racing, such as Shyam Kothari, Gaurav Gill, CS Santosh, Aravind KP amongst various others. As a leader, we have a huge responsibility on our shoulders to try and spot the potential of budding racers and nurture them through various ways. The team identifies talent and constantly work on each racer every day with a motive to give them the best possible exposure and training. To make the selection process transparent and inclusive, we invite enthusiasts from all sections of society and offer them everything from racing gear, race-spec machines and access to your champion riders. Our motive is to destroy the myth that two-wheeler racing is only for a select influential few and open the doors to any rider with a passion and skill for racing. Post selection and induction, TVS Racing works on individual training programs for each rider and set the goal for them for the year under consideration. A team of engineers and trainers at TVS Racing work closely with the riders: from providing specially built RTR race bikes with high power engine and superior suspension for training to conducting workshops on techniques and skills of riding, physical fitness and more. The team organizes training programs for racers basis their level of expertise and the form of racing that they want to participate in – road racing, motocross or supercross. Riders are trained on Indian as well as International grounds to have better exposure of terrains, technicalities and temperatures. 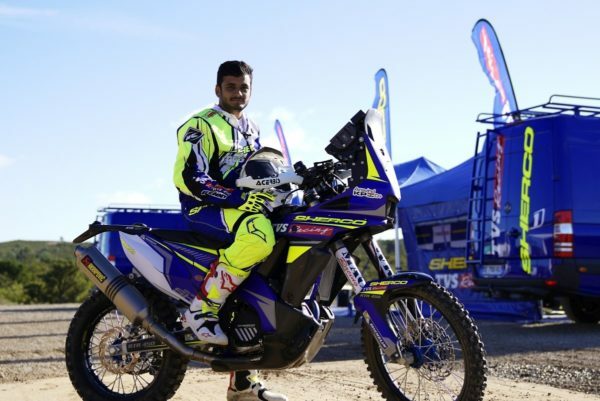 Apart from the participating in various championships in India and Sri Lanka, they train in USA, Australia, France, Spain, Morocco and in Asian countries for advanced motocross, rally and road racing training sessions. Racing is a very dynamic profession and a rider needs to be mentally and physically conditioned to face the challenges in his career. Training of a racer is a continuous process where both the rider as well as the team need to push their boundaries and strive for excellence. Dedication, hard work, perseverance and preparedness for any result are the key to success in motorsports. There are various platforms as a team that we explore to spot the right talent and then nurture it. For rally and motocross events, we observe upcoming talent and support them in various ways like supporting them with our racing machines, track, etc. For road racing, we conduct One Make Championships in association with FMSCI to provide a platform for young aspiring racers to showcase their skills. Successful riders gradually get into the team post various riding tests conducted by the racing team. TVS Racing was the first team to introduce One Make Championship in India in 1994 and the concept has been replicated by many other players in the industry. TVS Racing also conducts Riding Schools at MMRT Chennai in association with FMSCI to train fresh talent in road racing. The school is conducted three times an year. There is a lot of growing interest and abundance of talent in this country so besides our own initiatives we support many racing schools in India for instance California Superbike School and Rajini Academy of Racing. 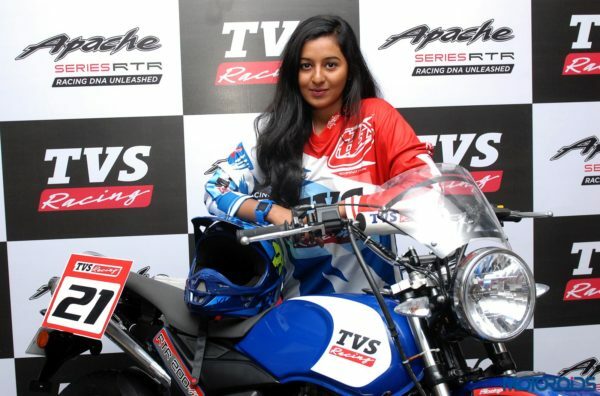 TVS Racing is committed to promoting women racers in India and has set up a dedicated Training Academy to train them and build their racing skills. We are the first factory team in India to appoint a woman racer Shreya Iyer in the team and continue to support her. Besides racing on motorcycles, we also participate and have a fairly successful record in scooter rally events in India with a race spec TVS Wego, prepared by our in-house engineers. Our racers are encouraged to participate in as many racing events as possible as per their expertise. We participate in international rallies as well as we believe that these are crucial platforms to test riding skills, navigation skills, vehicle preparation, strategy, logistics and endurance levels of the participants. The growing participation of riders as well as industry players (factory teams) is a proof point that the motorsport is gaining traction in India. However, there are few critical aspects to help this man-machine evolve into a mainstream sport: cultivating the right talent at the right time, providing the necessary facilities and infrastructure, and an enabling platform for these young riders to scale up for global competitiveness. Racing is not only about winning races but to learn from each experience particularly the unsuccessful attempts. It is also about having the courage to start again from the beginning and strive to get laurels for the team. The journey to glory is long and strenuous but worth every bit.